1 of only 2 pest control companies in the state of Washington that is BedBug free certified by bed bug central, the foremost authority on bed bug control. 2016 recognition award for serving as President of the Washington Pest Management Association. 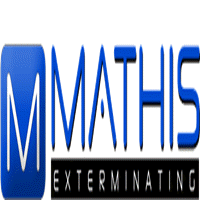 Mathis Exterminating is a full service single vendor company that focuses on solving pest problems at the source. What this means for you the customer is, you wont need to call multiple companies to solve your pest related problems. This is accomplished through highly trained technicians that approach every pest problem using the 4 levels of control in an Integrated Pest Management Program. Our technicians receive on-going training monthly that will ensure we are always on the cutting edge of technology and procedures. If you insulation in your attic or crawlspace has been contaminated from rodents or other four legged pests, no worries, Mathis has a crawlspace restoration department that can make your crawlspace and attic as good as new. •	Mathis solves pest problems at the source, most companies address the symptoms only. •	All technicians go through a thorough background check so you can rest easy knowing that your technician has been properly vetted. •	Our main goal is to make sure each and every customer is 100% satisfied, not some of the time but all of the time. •	Bed bug free certified. •	Member of the Washington State Pest Management Association. •	In business for over 27 years. •	Beyond green approach to solving natures oldest problem, PESTS!!! Whenever we have had contact with anyone from Mathis they have always been polite and listened to our concerns. They are very knowledgeable and genuinely concerned with all situations which arise. Additionally, they present suggestions in a professional manner. Thank you Amy so much for the great review and giving Mathis the opportunity to be your pest control company of choice.